originally founded 1901 and moved to these premises with a stated social mission to pasteurize milk and study polio. 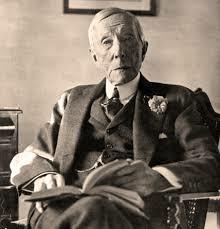 John D. Rockefeller Sr. was the patron of the Institute (1901) and Foundation (1913), which was administered by his assistant Frederick T. Gates and initiated by his son John D. Rockefeller Jr., (born 1874). JDR Jr. “took an interest” in healthcare in the 1890s and organized the original founders of the Rockefeller Institute for Medical Research (RIMR) from the circle of William H. Welch and Daniel Coit Gilman (co-founder of Yale Skull and Bones) of Johns Hopkins University. The popular story of the RIMR’s founding concerns the death of Edith Rockefeller McCormick’s young son in 1901 which also led to the establishment of the McCormick Institute for Infectious Disease in Chicago, although planning for the institutes began many years prior. Christian A. Herter and L. Emmett Holt, both students of W.H. Welch at his JHU laboratory, joined with ‘Junior’ to found the New York City RIMR. A second meeting at the University Club in New York on May 10 included Theobald Smith (see RIMR Princeton, below). Simon Flexner was invited to the third meeting, after which he produced a letter of acceptance to direct the New York institute. On the strength of a report issued in 1855 by a Yale chemist, professor Benjamin Silliman, concerning the quality of petroleum seeping along ‘Oil Creek’ in northwestern Pennsylvania, Edwin Drake dug the first successful oil well at Titusville in 1859 and the modern petroleum industry was born. http://en.wikipedia.org/wiki/Titusville,_Pennsylvania. John D. Rockefeller was barely 20 years old, but already a seasoned accountant and broker in the trading and shipping of goods. Rockefeller was looking for new partners and markets; on April 1, 1858 he left the Cleveland firm that gave him his first job (everafter known to JDR as “Job Day”, Sep 26, 1855) and joined a new venture, Clark and Rockefeller. “In the 1850s, the whale fisheries had failed to keep pace with the mounting need for illuminating oil, forcing up the price of whale oil and making illumination costly for ordinary Americans.” There was no “cheap illuminant that burned in a bright, clean, safe manner.” [p73, Titan]. A friend of Maurice Clark, Samuel Andrews, who was a self-taught chemist with experience in lard-oil and coal-oil, was “enthralled by the unique properties of kerosene.. convinced it would outshine and outsell other sources of light… Rockefeller and Maurice Clark pledged $4,000 for half the working capital of the new refining venture, Andrews, Clark and Co., placing the twenty-four year old Rockefeller squarely in the oil business in 1863, the year of the Emancipation Proclamation and the stunning Union victories at Gettysburg and Vicksburg… As a commission agent distant from the oil wells, stationed at the commercial crossroads of Cleveland, Rockefeller naturally entered the industry as a refiner.” [p77, Titan]. Rockefeller’s most effective critic, Ida M. Tarbell, launched a lengthy expose of Standard Oil in McClure’s Magazine (c.1902-1904), making Rockefeller a household name to the public, hated for Standard’s trademark corruption. 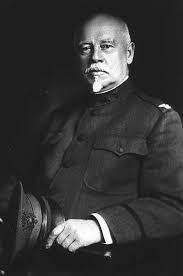 http://www.history.rochester.edu/fuels/tarbell/upto52.htm. “In 1901, drillers in Beaumont, Texas, made a major find in a dreary mound called Spindletop… The Texas oil boom, which spawned five hundred new companies during its first year alone, redrew the industry map… When the Mellons, who had financed Spindletop, offered to sell it to Standard Oil, they were bluntly informed..’Mr. Rockefeller..[will] never put another dime in Texas’. Standard had to sit back and suffer the emergence of a host of competing producers, including Gulf Oil and the Texas Compnay, later called Texaco.” [p431, Titan]. The merger of Shell and Royal Dutch (1907) is noted as the result of negotiations by Edouard Alphonse James de Rothschild, son of Alphonse (Mayer Alphonse James de Rothschild, 1827-1905) http://en.wikipedia.org/wiki/%C3%89douard_Alphonse_James_de_Rothschild; the Rothschilds were major owners of the Northern Railway Co. http://en.wikipedia.org/wiki/Chemin_de_Fer_du_Nord and financed the rails from the Baku oilfields in Azerbaijan to the Caspian. Alphonse founded the oil company Bnito in 1883 which was merged with Royal Dutch Shell in 1911. John D. Rockefeller Jr. married Abby Green Aldrich on October 9, 1901. Abby was the daughter of Senator Nelson W. Aldrich from Rhode Island, who attended the ultra-private Jekyll Island, GA. meeting to establish the Federal Reserve**. 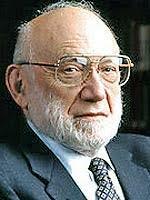 In 1900, ‘Jr’ financed the building of Memorial Hospital (Sloan-Kettering*) on the campus of Cornell. He directed Standard Oil and U.S. Steel until 1910. The RIMR incorporated a teaching hospital in that year. In 1911, the Standard oil monoply was broken up by the Sherman Anti-trust Act, which actually increased Standard’s market share from the 80th percentile into the 90th. In 1913, Jr. established the ‘Bureau of Social Hygiene’ and the Rockefeller Foundation. Over the next three decades, JDR Jr. funded the American Society for the Control of Cancer (forerunner to the American Cancer Society), excavations in Luxor Egypt, the restoration of Colonial Williamsburg, the building of Rockefeller Center, the Museum of Modern Art in NYC, donated the property for the United Nations and built the Rockefeller Museum in Jerusalem which is home to the Dead Sea Scrolls. JDR Jr. and Abby had one daughter and five sons. Rockefeller Center legal business was handled by one of the family’s designated Wall Street firms, “Milbank, Tweed” (and partners), joined after WWII by John J. McCloy, the Salk Institute’s founding chairman www.polioforever.wordpress.com/john-j-mccloy/ ; www.polioforever.wordpress.com/jeremiah-milbank ; Nelson Rockefeller exerted a particular dominance over management of the Center and in 1948 the Rockefeller Brothers Fund bought the Center. The Rothschild-funded Pasteur Institute, est.1887 in Paris, provided a model for the organization of the RIMR. Baron Edmond de Rothschild invoked the Pasteur and the RIMR both as models meeting his approval for financing the future Weizmann Institute of Science, which in 1914 was yet an issue of contention among Zionists in its proposed form as a Hebrew University: “On January 3, 1914…Weizmann met with Baron Edmund de Rothschild for three quarters of an hour…Rothschild made it clear that he was only interested in a research institute similar to the Pasteur..or a Rockefeller Institute ‘where about 30 to 40 good men would work at scientific research’…the baron wished to have Paul Erhlich’s imprimatur on the research institute…Above all, the baron insisted on discretion and in keeping his name out of the news..[and] the most important demand that the idea of a university be abandoned, for the time being, in favor of a research institute..” –Jehuda Reinharz, Chaim Weizmann; The Making of a Zionist Leader, pp395-396. 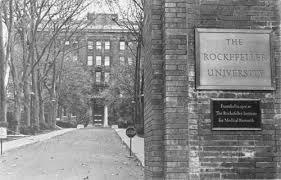 The Rockefeller Institute for Medical Research followed a similar course; initially devoted to private research advancing in time to become Rockefeller University. 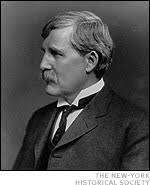 William Welch, son of a wealthy family of pharmacists from Norfolk Connecticut, was recruited to Johns Hopkins University by John Shaw Billings, the founder of the National Library system for both government and the public. Before JHU had a medical school, biology laboratories were arranged for Welch and William Osler to train young men in the new field of microbiology. 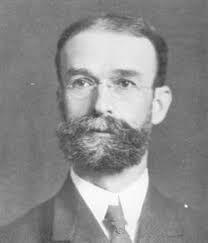 Welch was a graduate of Yale and a devoted Skull & Bonesman who also became the president of the National Academy of Sciences (1913-1917) and board chairman of the Eugenics Record Office. The RIMR, William Welch, and Simon Flexner who was trained by Welch, had an enormous role during WWI and the pandemic Spanish Flu that swept the globe in 1918-1919, recounted by author John Barry in “The Great Influenza”. 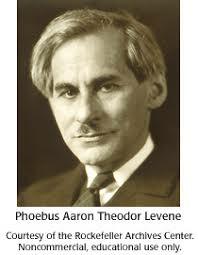 Phoebus T. Levene – (1869-1940) joined the RIMR in 1905; born and educated in Russia, emigrated to NYC in 1892; went on to direct gene research at Cold Spring Harbor Laboratory (CSHL), Eugenics Research Association. (CSHL was a Carnegie-funded institution) . CSHL trained international geneticists and was enfolded into the larger complex of Brookhaven National Lab. 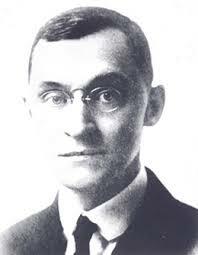 Jacques (Isaak) Loeb – (1859-1924 ) joined the RIMR in 1910; received an ‘elite Jewish education’, attended Univ. of Berlin and Munich; emigrated to the US in 1891 to work at Bryn Mawr and in 1892, the Univ. 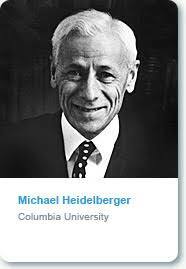 of Chicago; recruited from his laboratory at the University of California Berkeley (1901-1910) by S.Flexner; brother Leo Loeb at Washington Univ.(St. 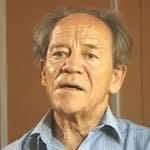 Louis) became a pioneer cancer researcher. 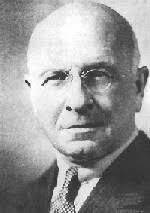 Jacques Loeb is known for his work on tropism and artificial parthenogenesis. While at RIMR, he founded the Journal of General Physiology with Walter Osterhout and published “The Mechanistic Conception of Life” among other writings. Eugene Lindsay Opie -(1873-1971) one of the first class of medical students to receive MDs from JohnsHopkinsU; recruited from Washington University, St. Louis where he later returned as a professor until 1923; became the director of the Henry Phipps Institute of Tuberculosis at UPenn; Cornell; and lastly back at the Rockefeller. Robert Means Yerkes – performed psychological and intelligence (eugenic) testing for the military WWI, developed the Yerkes-Bridge Point Scale for Intelligence used by the Eugenic Records Office at Cold Spring Harbor; went on to Yale from 1924-1944. Yerkes was a pro-eugenics, anti-immigration activist whose body of work reflected his ‘Nordic” bias. 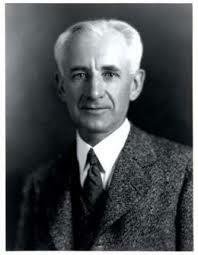 Cornelius Rhoads – joined RIMR in 1928; graduate of Harvard Medical School; staff pathologist for Rockefeller Hospital. In 1931 Rhoads joined the Commission for the Study of Anemia in Puerto Rico, where an unsent letter he wrote condemning Puerto Ricans caused a scandal, reported in Time magazine as “Porto Ricochet”, Feb 15, 1932. Susan E. Lederer reviews the history of this incident: http://www.scribd.com/doc/53156735/%E2%80%9CPorto-Ricochet%E2%80%9D-Joking-about-Germs-Cancer-and-Race-Extermination-in-the-1930s; “During World War II, after some work with the National Research Council and in the OSRD, he and members of his OSRD unit went into the chemical warfare service of the Army, in which he remained as a Colonel from 1943 to 1945.” http://archives.aaas.org/golden/doc.php?gold_id=80; Director of Sloan-Kettering Institute for Cancer Research. Max Theiler – (1899-1972) son of a prominent South African veterinarian originally from Basel, Switzerland; Theiler trained in London and at Harvard and joined the RIMR in 1930, scooping the competition to create a yellow fever vaccine for which he won a Nobel in 1951. He remained in the US for the rest of his life though chose not to become a citizen. Wendell M. Stanley – (1904-1971) Indiana born Stanley joined the RIMR in 1931. In 1935 he crystallized (powdered) the Tobacco Mosaic Virus. He left RIMR to found, build, and direct the Virus Laboratory at UC Berkeley in 1948. Stanley crystallized poliovirus in 1954. The next year, he contributed vital testimony about the “Cutter Lab” contaminated polio vaccine case which cleared Cutter from liability. 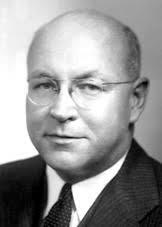 Director of RIMR hospital, Thomas M. Rivers https://polioforever.wordpress.com/thomas-m-rivers/ ; from 1937 –1955 Rivers was also the Director of the National Foundation for Infantile Paralysis (NFIP) or The March of Dimes, founded by FDR. “Thomas Milton Rivers came to the hospital of the Rockefeller Institute in 1922 with the aim of establishing a research program in the new field of viral diseases… When Rivers was made director of the Institute’s hospital in 1937, he was a world authority on virus research, a field that was then undergoing rapid growth as part of the nascent molecular biology program. 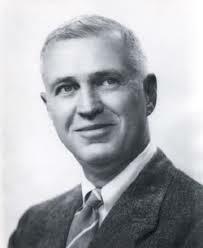 During his directorship (1937-1955), Rivers was an active coordinator of medical war projects, and a principal organizer of research programs within the National Foundation for Infantile Paralysis (N.F.I.P); the N.F.I.P. became a major pursuit after his retiring from the Institute.” http://www.amphilsoc.org/guides/kay/Primary2.htm#Rivers ; Rivers oversaw coordination of the Atomic Bomb Casualty Commission. 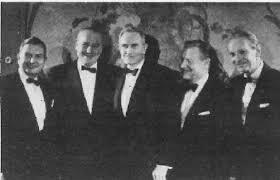 Watson, Crick & Wilkins, discoverers of DNA structure (1953, led to 1962 Nobel Prize) worked at the Rockefeller. Francis Crick spent the rest of his lengthy post-Nobel career at the Salk Institute. J.D. Watson became the director of Cold Spring Harbor Lab. John D. Rockefeller and John D. Rockefeller Jr. The Foundation began in 1902 as the General Education Board, a mirror of the Carnegie Foundation. Simon Flexner’s brother Abraham Flexner* became president of both General Education Boards. In 1928, significant breakthroughs in quantum physics appear to have substantiated the consolidation of the International Education Board (founded 1923), which undertook the direct financing of individual physicists who were dedicated to the production of nuclear weapons as well as other select projects of genetics and drug development. Abraham Flexner, under the auspices of Carnegie’s board in 1910, created the “Flexner Report” to reform North American medical education to the ‘German model’ and eliminate ‘non-aligned’ institutions. Grants and publicity were used to leverage universities into cooperation. As the influential president of Carnegie and Rockefeller education boards, Abraham Flexner carried the model to the reformation of all public schooling. 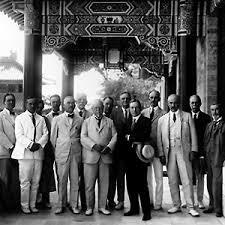 1917, Peking Union Med. professor Edmund V. Cowdryhttp://becker.wustl.edu/libdept/arb/arbpdf/FC008-CowdryEV.pdf Cowdry traveled extensively in Africa on medical assignments for the Rockefeller. RIMR,”Department of Animal Pathology” (DAP), Princeton New Jersey, formally founded in 1915 to study disease in swine, specifically ‘hog cholera’ which was provided for by a grant of $50,000 from James J. Hill of the Great Northern Railroad. In 1937, DAP staff researchers inserted human DNA into hemaephilus influenzae bacteria using ‘bacteriophage’ techniques and infected a herd of New Jersey swine, giving them a prostrating sickness. Is this the source of human-avian-swine flu genes passing as H1N1? Mixed species virus of this type, called “unsubtypable H1N1”, has been tracked by the CDC since (at least) the late 1990s. The military ‘flu’ records from the ’90s suggest it is present in the recruit population at a rate approximating 20%. In 1937, Albert Sabin had a laboratory at the DAP. 1916, creation of the International Health Board , focused on tropical disease, laboratory facilities, public health and pest control in Latin and South America, the Middle East, and Asia. From the Rockefeller archives: “Organizational History: In 1913, the Rockefeller Foundation established The International Health Board (known as the International Health Commission until 1916, when its name changed to the International Health Board) for the purpose of extending the work of the Rockefeller Sanitary Commission for the Eradication of Hookworm Disease. In addition to hookworm, the Board’s early public health activities included control of yellow fever, malaria, tuberculosis, public health education, virus studies and related research. In 1927, the Board was disbanded. Its work was continued by the new International Health Division of the Foundation. In 1951, the International Health Division was merged with the medical sciences program and public health activity was de-emphasized.” Hookworm disease eradication is now a priority of the Sabin Vaccine Institute with funding from the Bill & Melinda Gates Foundation. After 1916, he Rockefeller Foundation made contracts with the Brazilian government to eradicate yellow fever with the application of Paris Green pesticide http://www.schwartzman.org.br/simon/space/chapter7.htm . In 1928, after the program had begun, Rio de Janeiro experienced a large outbreak ; Yellow Fever — ” It is thought that the disease originated in Africa and spread to the Americas in the 17th and 18th centuries through trading ships. The flavivirus that causes yellow fever was first identified in 1928 and the first vaccine against the disease was produced at the Rockefeller Institute in New York in 1937.” http://www.answerbag.com/q_view/446721. The WHO gives statistical background on the spread of YF and the resulting encephalitis (and viral hepatitis) from vaccines http://www.who.int/vaccines-documents/DocsPDF/www9842.pdf . West Nile is also a flavivirus and its leading expert, Charles Rice, has a lab at Rockefeller University and a contract with Project BioShield through his pharmaceutical house Arpath LLC. Hilary Koprowski went to work for Rockefeller in Brazil in 1939. 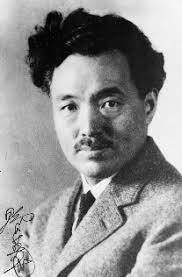 Sometime after 1940, he came to the RIMR. Koprowski went on to work for LeDerle after WWII and finally to direct the Wistar Institute in Philadelphia, by the campus of the University of Pennsylvania. 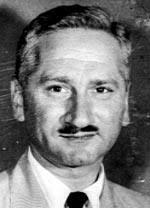 Koprowski is suspected of initiating the AIDS epidemic in Africa through administering polio vaccine in 1957, the year of peak atmospheric fallout. >>polioforever – pernicious anemia (or aplastic anemia) was a hazard of radiation work. Marie Curie, her daughters and son-in-law, Frederic Joliot-Curie died of this ailment. Timeline of medical-pharmaceutical development in New York http://www.newyorklifescience.com/industry/biohistory.htm The New York Academy of Sciences was the primary publisher of bioweapons related microbiology (listed under ‘military medicine’) routed through Ft. Detrick. 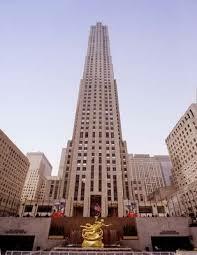 Today it’s headquarters are at the new World Trade Center 7. ….”The world financial structure, far from being an unknown or hidden organization, is actually well known and well defined. It consists of the major Swiss Banks; the survivors of the old Venetian-Genoese banking axis; the Big Five of the world grain trade; the British combine, centered in the Bank of England and its chartered merchant banks, functioning trough the Rothschilds and the Oppenheimers and having absolute control over their Canadian colony through the Royal Bank of Canada and the Bank of Montreal, their Canadian lieutenants being the Bronfmans, Belzbergs, and other financial operators; and the colonial banking structure in the United States, controlled by the Bank of England through the Federal Reserve System; the Boston Brahmin families who made their fortunes in the opium trade, including the Delanos and others and the Rockefeller Syndicate, consisting of the Kissinger network headquartered in the Rockefeller Bank, Chase Manhattan Bank, American Express, the present form of the old Rothschild representatives in the United States, which includes Kuhn, Loeb Company and Lehman Brothers.”…..
“… John D. Rockefeller was routinely caricatured by socialist propagandists as the epitome of the ruthless capitalist. At the same time, he was the principal financier of the world Communist movement, through a firm called American International Company. Despite the fact that the House of Rothschild had already achieved world control, the sound and fury was directed exclusively against its two principal, representatives, John D. Rockefeller and J.P. Morgan. One of the few revelations of the actual state of affairs appeared in Truth magazine, December 16, 1912, which pointed out that “Mr. Schiff is head of the great private banking house of Kuhn, Loeb & Company, which represents the Rothschild interests on this side of the Atlantic. He is described as a financial strategist and has been for years the financial minister of the great impersonal power known as Standard Oil.” Note that this editor did not even mention the name of Rockefeller. American Cancer Society (a Rockefeller establishment) states “It’s become increasingly clear that obesity is a factor in approx. a dozen different types of cancer –especially postmenopausal breast cancer in women and colorectal cancer in men”. The U.S. Army is the foremeost breast cancer research sponsor, and it is known that radiation (x-rays and mammography) is a leading cause of breast cancer. The New England Journal of Medicine calls obesity the New Plague. From the NEJM, “Obesity – The New Public Health Frontier” (series 2002-2003). “The public health law posits…that government has both the power and the duty to regulate private behavior in order to promote public health. The constitutional source of this authority is the police power, which encompasses both directly coercive interventions and policies such as taxes and subsidies that shape behavior by altering the costs of certain choices”…..
“Saturated fat has been shown to protect the liver from alcohol and medications, including acetaminophen and other drugs commonly used for pain”..